Spooky illustration for Witaj w podróży – a Polish travel magazine. 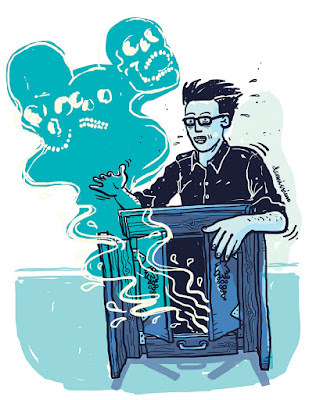 It illustrates the fascinating story of an old wine cabinet which is said to be haunted by a dybbuk (an evil spirit). Read more about this here.